Non-Toxic Munchkin: New List of Which Canned Foods Contain BPA and Which Don't - How Do the Cans In Your Pantry Stack Up? New List of Which Canned Foods Contain BPA and Which Don't - How Do the Cans In Your Pantry Stack Up? Yet, most Americans still have significant levels of BPA in their blood. Bisphenol A is one of the worse endocrine disruptors on the market, linked to a variety of serious disorders. California even added it to its list of toxic chemicals this year. It imitates thyroid and reproductive hormones and has been linked to cancer, reproductive damage, obesity and heart disease. No doubt about it this is one chemical that everyone agrees you should be avoiding. The problem is, it is still quite prevelant in every day items. BPA is especially dangerous for small children and developing fetuses, since children do not metabolize and excrete BPA as quickly and efficiently as adults (Edginton 2009, Ginsberg 2009), and it can pass from the placenta to the fetus with ease. How are we being exposed to BPA ? Most people think of BPA and they thing of plastic, however BPA is found in a number of other items - including the lining of canned foods. And in the US, people rely heavily on canned foods - in fact the canned food industry is booming- people are eating canned food at an increasing rate ( the canned food market was worth $77 billion in 2013 and is estimated to reach $100 billion by 2020). The problem? BPA in the can linings will leach into the food you eat. One of the most frustrating things about healthy food shopping is that many family’s choose canned fruit, vegetables, sauces and soups when trying to serve healthy, quick budget friendly dinners at home. But instead of healthy vegetables or sauces they are serving their families food with quite the dangerous chemical. The worse part? It is really hard to know which company’s have BPA in their canned food linings and which don’t. The good news is that this week, the Environmental Working Group has shed some light on the topic when they released there latest study: BPA in Canned Food: Behind the Brand Curtain. The bad news? 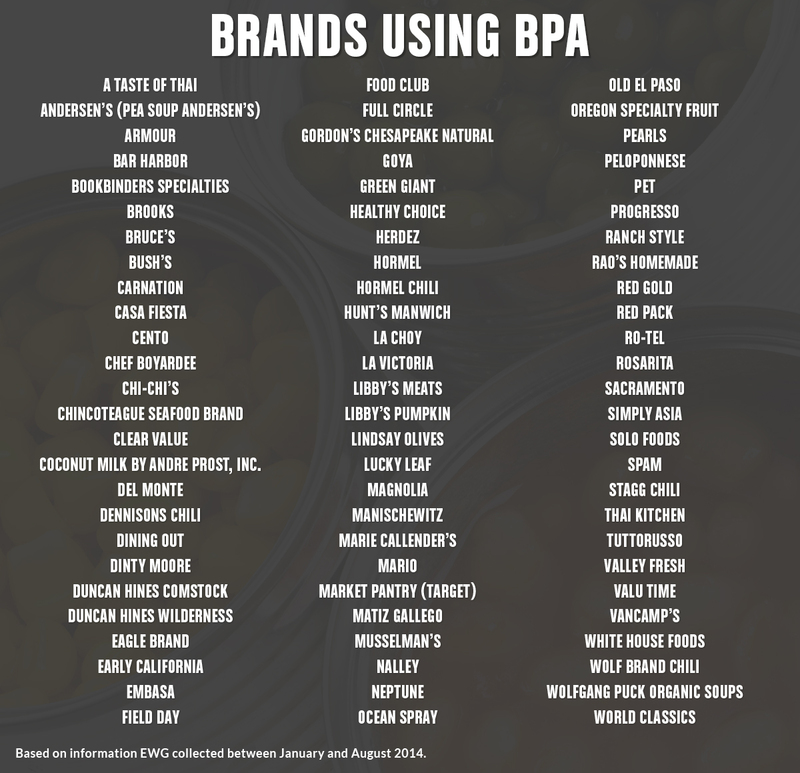 78 well known brands are still using cans lined with BPA in their epoxy linings for all of their products - another 32 still use BPA on some of their metal cans and an additional 100 companies did not respond to the survey at all. 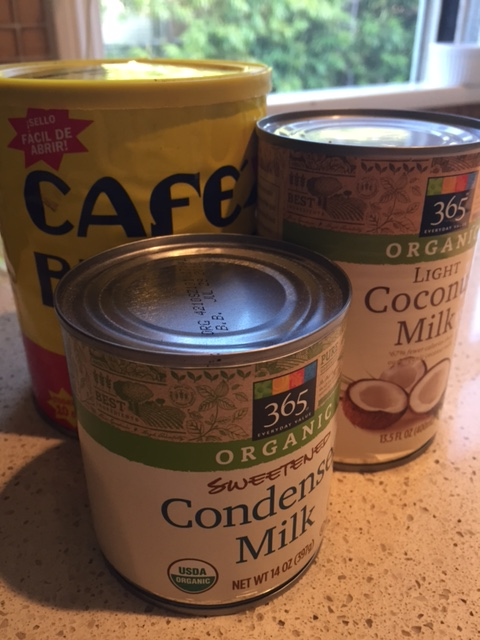 Wondering which canned foods are BPA free? 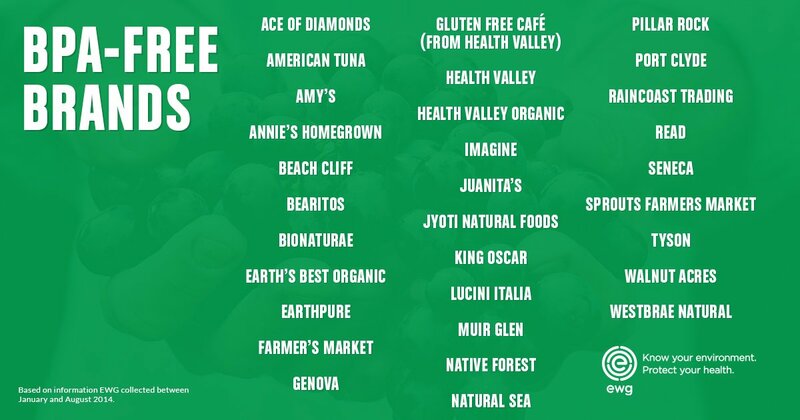 EWG posted their list of 31 brands (12%) they found to be using BPA free cans for all of their canned products. Unfortunately, we still wouldn’t necessarily recommend buying these because these companies were vague and most did not provide what the substitute chemical used is - so no one really knows if alternatives being substituted for BPA-based epoxy are safe. Since there is no federal law requiring food manufacturers to label their products that contain BPA linings, it is up to you as the consumer to protect your family. Choose glass containers and carton/tetrapack containers whenever possible. Everything from tomato sauce, to soups, to beans can be found in glass or tetrapack containers in most supermarkets and this will always be your safest option. When you have no other choice than to buy canned food, choose from EWG’s list of ‘BPA free’ canned foods, but try to keep these foods at a minimum. Another option might be choosing frozen vegetables in lieu of canned vegetables. Finally, always opt for fresh fruits and vegetables when these are an option! Especially for children and pregnant women.